We have created this privacy statement in order to demonstrate our firm commitment to privacy. The following discloses our information-gathering and dissemination practices for the GOCEA web site. (This site contains links to other sites. The GOCEA web site & award program is not responsible for the privacy practices or the content of these web sites.). address, site title, URL of a nominated site and the town or country you are from. You are under no obligation to answer these questions. However, we are unable to evaluate your web site without this information. "GOCEA" Program, "GOCEA Award" and his evaluators uses information about you to contact you if you have won an award or not. By filling out an award application form you agree to be contacted by "GOCEA Award" Program, via email.. If you voluntarily provide information to the GOCEA Award web site, your name, e-mail, and address will never be divulged to any third party. 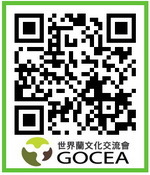 The GOCEA Award web site will divulge information only as necessary to comply with state and federal laws. This site makes guest books, forums, message boards, and/or news groups available to its users. Please remember that any information disclosed in these areas becomes public information. You should exercise caution when deciding to disclose your personal information. No child under the age of 13 should post in this or any other type of public forum. 1. This site does NOT seek to collect online contact information without prior parental consent or parental notification, which will include an opportunity for the parent to prevent use of the information and participation in the activity. Without prior parental consent, online information will only be used to respond directly to the child's request and will not be used for other purposes. 2. This site does NOT seek to collect personally identifiable offline contact information without prior parental consent. 3. This site does NOT distribute to third parties any personally identifiable information without prior parental consent. 4. This site does NOT publicly post or otherwise distribute personally identifiable contact information without prior parental consent. 5. This site does NOT seek to entice anyone, by the prospect of a special game, prize or other activity, to divulge more information than is necessary to participate in the Korea Award program. Our site provides users the opportunity to opt out of receiving communications from our partners at the point where we request information about the visitor. This includes the options of having their information removed from our database, not receiving future communications, and/or no longer receiving our service. This site gives users the opportunity to change and/or modify information that was previously submitted. This site refuses E-mail address collection without notice.